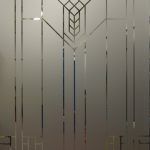 We created these etched glass panels for a London renovation in 2014. 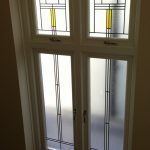 The client was totally renovating a large Georgian house from top to bottom and all of the windows and doors were to be replaced as part of the project. 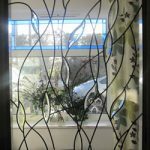 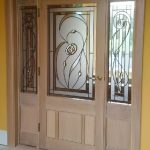 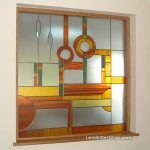 The client wanted a traditional look for the door and the arched window (almost 4 metres in height) so we created some ideas and uploaded them to the Client Pages section of this website. 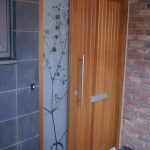 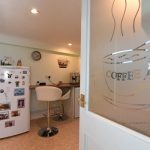 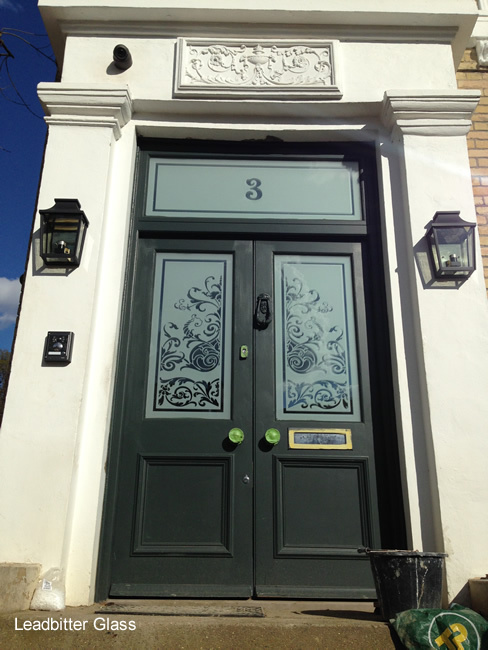 The double glazed front door glass was created using laminated glass with a toughened backing glass. 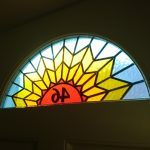 The large arched window was created using 6.4 laminated glass. 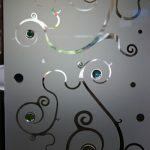 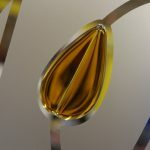 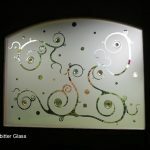 The background of the glass was etched glass with the detail of the patterns being clear glass. 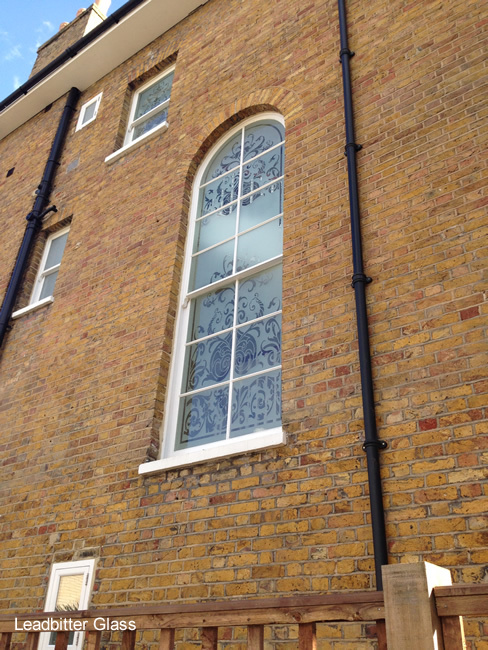 We also supplied a smaller rectangle window for the project which you can see on the Client Page.